If you have type 2 diabetes, chances are you know whether or not you have high cholesterol. The two often go hand in hand. You may know your total cholesterol number, or your doctor may have gone a step further and told you your LDL cholesterol number. Either way, if the number was above the healthy limit the last time you had a test, your doctor almost surely told you that it needs to come down. You may have walked out of your doctor’s office with a prescription for a statin drug and a mandate to eat less meat and cheese. However, to think that all LDL is “bad” cholesterol that coats your arteries with plaque and that all HDL is “good” cholesterol that scrubs plaque off your arteries is overly simplistic. Both LDL and HDL are made up of particles of various sizes and densities. Large, fluffy LDL is not harmful, and small, dense HDL can be dangerous. Total cholesterol, or even the breakdown of HDL and LDL that you get from a typical round of blood work, can’t tell you the size of the particles. So, it’s incomplete information about these risk factors for heart disease. Your doctor can order one of two tests that measure the various cholesterol particles in your blood, a vertical auto profile (VAP) test or a lipoprotein particle profile (LPP) test. And Medicare and most insurance plans cover this type of test, so ask your doctor about it. Also, depending on your numbers, your doctor may be able tell something about particle size based simply on your levels of triglycerides and HDL. Triglyceride levels higher than 120 mg/dL combined with HDL levels below normal (less than 40 mg/dL in men and less than 50 mg/dL in women) are usually associated with small, dense LDL. So, what can you do to reduce the number of these small, dense particles? Lower your triglycerides and raise your HDL levels. Statin drugs (the pills usually prescribed to bring down high cholesterol) reduce LDL cholesterol, but not triglycerides—nor do they raise HDL, or at least not by much. The good news: You can make lifestyle changes to lower your triglycerides and raise your HDL levels. Both high triglycerides and low HDL are by themselves risk factors for heart disease. Curb your carbs. In a study comparing a lowfat diet to a low carb diet, subjects on the low carb diet saw greater reductions in triglycerides (and blood pressure) and greater increases in HDL. It’s also well established that lowfat (high carb) diets raise triglyceride levels. Research shows that the more high carb foods and drinks you consume, the lower your HDL and the higher your triglycerides, too. Walk more every day. Thirty minutes of daily brisk exercise also can decrease triglycerides and increase HDL in as little as two months. If you don’t have a free half hour, break it up into three 10-minute brisk walks. Quit smoking if you smoke. It can increase your HDL by 10 percent. Lose weight. For every 6 pounds you lose, your HDL may increase by 1 mg/dL. Drink moderately. Moderate alcohol consumption is associated with higher HDL levels. But beware, too much alcohol is associated with high triglycerides (and reducing alcohol intake can lower them). Aggarwala, J., Sharma, S., Saroochi, Jain, A., and Sarkar, A. (2016). Effects of aerobic exercise on blood glucose levels and lipid profile in diabetes mellitus type 2 subjects. Al Ameen J Med Sci, 9(1):65-69. Forey, B. A., Fry, J. S., Lee, P. N., Thornton, A. J., and Coombs, K. J. (2013). The effect of quitting smoking on HDL-cholesterol – a review based on within-subject changes. Biomarker Research, 1:26. De Oliveira E Silva, E. R., Foster, D., McGee Harper, M., Seidman, C. E., Smith, J. D., Breslow, J. L., and Brinton, E. A. (2000). Alcohol consumption raises HDL cholesterol levels by increasing the transport rate of apolipoprotiens A-I and A-II. Circulation, 102(19):2347-2352. Tay, J., Luscombe-Marsh, N. D., Thompson, C. H., Noaks, M., Buckley, J. D., Wittert, G. A., Yancy Jr., W. S., and Brinkworth, G. D. (2015). Comparison of low- and high-carbohydrate diets for type 2 diabetes management: A randomized trial. The American Journal of Clinical Nutrition, 102(4):780-790. Wing, R. R., Espeland, M. A., Clark, J. M., Hazuda, H. P., Knowler, W. C., Pownall, H. J., Unick, J., Wadden, T., and Wagenknecht, L. (2016). 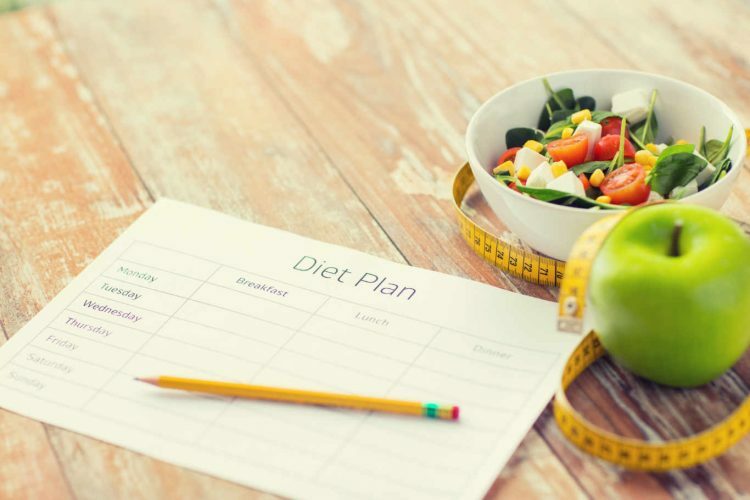 Association of weight loss maintenance and weight regain on 4-year changes in CVD risk factors: The Action for Health in Diabetes (Look AHEAD) Clinical Trial. Diabetes Care, 39(8):1345-1355. Updated by Julia Telfer, 3/17.